Advice on a Bill of Rights for Northern Ireland, submitted to the Secretary of State by the Northern Ireland Human Rights Commission in 2008, was roundly rejected by the UK government in 2009 and there seems to be little appetite within the Northern Ireland Office for revisiting the issue in the foreseeable future. In London, the coalition government’s Commission on a UK Bill of Rights, set up in 2011, reported in 2012 but could not suggest an agreed way forward on a UK basis. In Scotland, on the other hand, bearing in mind the forthcoming referendum on independence in 2014, there is renewed interest in whether legislation should be passed by the Scottish Parliament to guarantee a range of social and economic rights. The Republic of Ireland, for its part, is currently re-examining its Constitution and has recently voted in a referendum to enhance the protection of children’s rights. As the nature and extent of the protection of rights continue to vary within these islands, we think it is worthwhile putting forward a list of options for what might next be done in this context within Northern Ireland. We are doing so under the auspices of the Human Rights Centre in the School of Law at Queen’s University Belfast. The Centre is keen to play a leading role in promoting critical thought and further discussion about this issue. We believe that Universities must play their part in encouraging such society-wide debates. Option 1, of course, would be to do nothing regarding the protection of human rights in Northern Ireland. For those who favour that approach such a position is fine. We do not ourselves want to let things rest where they are. We would prefer to keep talking and thinking about how best to enhance the protection of rights in a way that works to the benefit of everyone in Northern Ireland. Option 2 would be to push harder for government acceptance of the NIHRC’s advice on a Bill of Rights. There may be some legal merit in that approach but there are also likely to be very significant political difficulties in doing so. No doubt the NIHRC will itself wish to continue to promote its thinking, and there may be others who will want to support them in doing so. But we believe there are further options which are worth considering too. (1) Which, if any, human rights are not fully enough protected in Northern Ireland at the moment? (2) How might improved protection of those human rights be brought about? (3) What discussions need to take place to arrive at consensus answers to questions (1) and (2)? (4) How could those discussions be facilitated? We accept that consensus answers to questions (1) and (2) need to be reached primarily at a political level within Northern Ireland and that unionist and nationalist parties currently hold different views about the degree to which human rights need to be protected in Northern Ireland. We are firmly of the opinion, however, that reaching such consensus is possible. We believe that doing so would bring greater stability to the political arrangements in Northern Ireland, better define and protect the various identities of all the people living in Northern Ireland, and help to bring about a truly shared society based on respect for the rights of everyone. It might also help to reassure those factions who, for whatever reason, are antagonistic to the peace process as underpinned by the Good Friday Agreement of 1998 and the St Andrews Agreement of 2006. Our aim here is to initiate an inclusive discussion with all those committed to enhanced human rights protection and promotion. We look forward to continuing the conversation across these islands. The dialogue on human rights in Northern Ireland initiated by Brice Dickson and Colin Harvey is important and should be welcomed. 2013 has not been an auspicious year far for human rights: following the debacle off the UK Commission on a Bill of Rights, the Human Rights Act 1998 remains under severe threat with possible manifesto commitments to withdraw from the European Convention (with all the ensuing constitutional chaos that would bring in terms of the UK’s membership of the Council of Europe); the Francis Report into the Mid-Staffordshire NHS Trust is a damning indictment of a public service where human rights violations resulted in death and suffering; April 1st saw in England and Wales reforms of the welfare system – including legal aid – far greater than Mrs Thatcher could have dreamt of, brought about by a political elite as disconnected from economic reality as the youth of North Belfast are disconnected from the Northern Ireland peace process. In Northern Ireland protests continue and the dissident threat remains high. The continuing troubles marked by the everyday occurrence of pipe bombs and other manifestations of violence often against the state are unreported by Press GB. These are not good times for human rights in Northern Ireland which is why the dialogue suggested by Dickson and Harvey is so important. Because now it is far more than the failure of the British state to adhere to the Belfast/Good Friday Agreement including the Bill of Rights for Northern Ireland, reflecting the particular circumstances of Northern Ireland; it is now about the enabling of a human rights culture in Northern Ireland and the potential that could have offered (as the example of Northern Ireland in terms of a post-conflict society of transitional justice) to other post conflict states. And this if fifteen years on and instead of moving forward with a peace underpinned by a human rights agenda it appears that Northern Ireland is regressing. Significantly, it is the first generation of youth born after the Belfast/GFA who are disconnected from the peace and now disconnected from mainstream politics and any economic certainty for the future, symbolised by riots about flags – or rather The Flag. Therefore in Northern Ireland, where so much good has been accomplished around human rights, despite the residual suspicion of the Loyalist community, the violent undermining of the peace by dissident republicanism (both of which must be engaged with) and – perhaps most significantly – a political vacuum and disinterest in both Stormont and Westminster, the latter representing a peace brokered between political elites, the latter writing the end of history narrative after the partial process of devolution (not our problem), the dialogue proposed by academics must be engaged with. It would seem now that the human rights agenda in Northern Ireland as central to the peace must be spoken by those in the academy, those in hard pressed civil society organisations and by community leaders either side of the sectarian interface. This caucus could nudge toward a consensus on the Northern Ireland human rights agenda. If human rights are lost in Northern Ireland then the peace could also be lost. The interesting point constitutionally is that this purposive dialogue must take place in a political vacuum of vested interests. What must occur seems to be the disconnection of human rights from political practice and to realign human rights discourse with a constitutional framework which lies within grassroots civil society and local community politics. 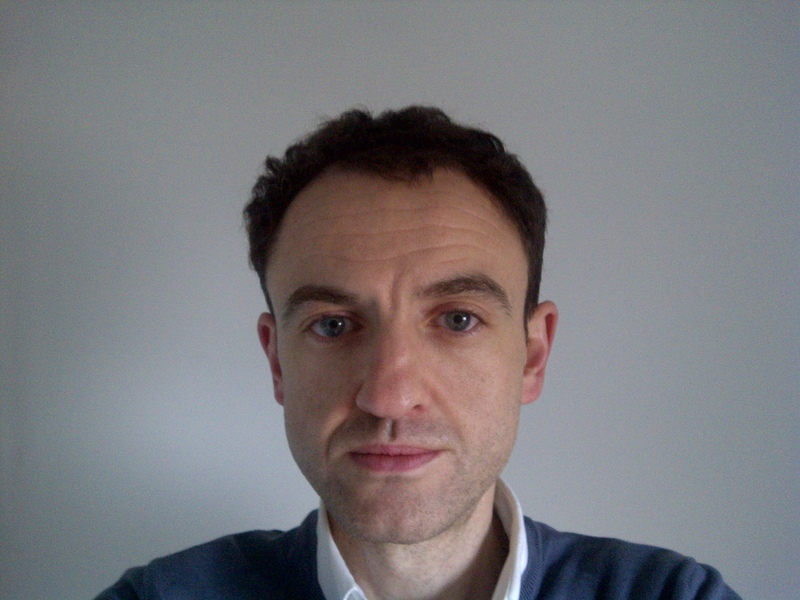 Christopher Stanley is Legal Officer with Rights Watch (UK) (formerly British Irish Rights Watch). The views expressed here are those of the author and to not necessarily represent those of Rights Watch (UK). This entry was posted on February 23, 2013 by Constitutional Law Group in Northern Ireland and tagged Bill of Rights for Northern Ireland, Northern Ireland.